Lonely Planet Magazine India Travel Awards 2013 were held on Friday at the ITC Grand Central, Parel, Mumbai. Bollywood celebrities turned up in style to take in the show and party. Murder 3 actress Aditi Rao Hydari looked glam in her red sari paired with a gold blouse. Please click NEXT to see more pictures from the starry night. Nargis Fakhri flaunted her enviable legs in an edgy Ferragamo dress. John Abraham flashes his famous smile as he worked his grey suit. Sophie Choudry and Dia Mirza are quite a sight in their contrasting colours. 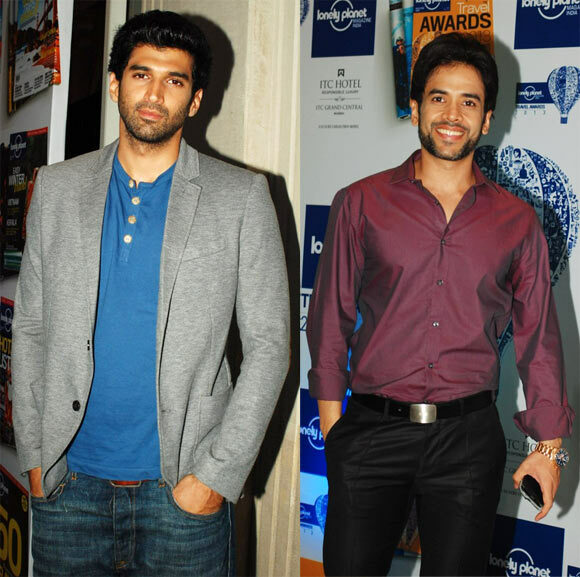 Aditya Roy Kapur and Tusshar Kapoor arrive. Soha Ali Khan was accompanied by boyfriend Kunal Khemu. Sharman Joshi looked suave in red and black. Socialite Queenie Singh was also among the guests. Look who's turning 50 with Sridevi this year!